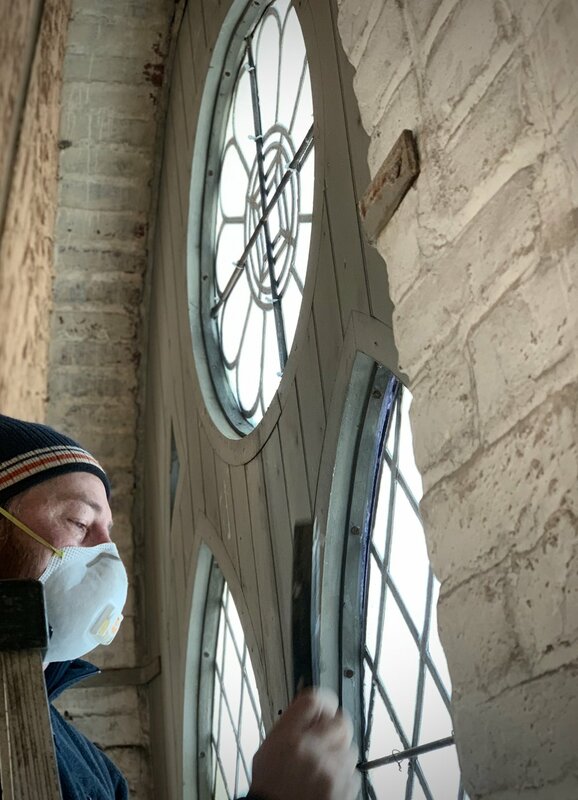 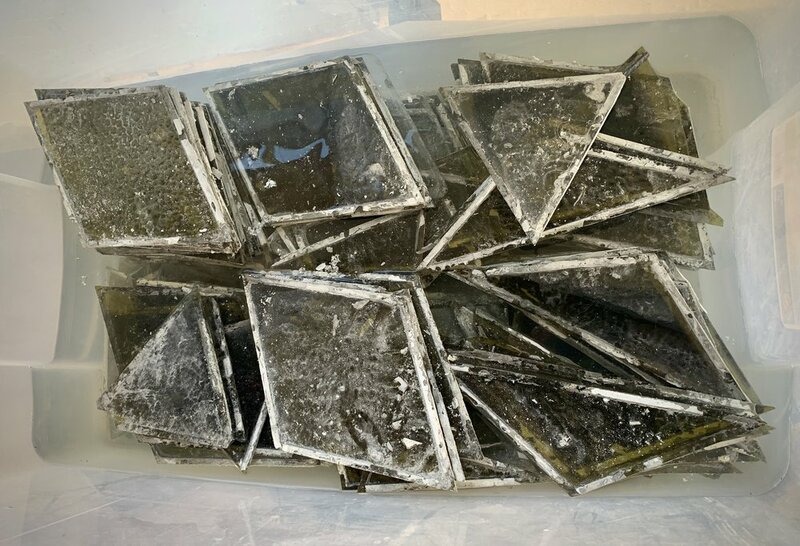 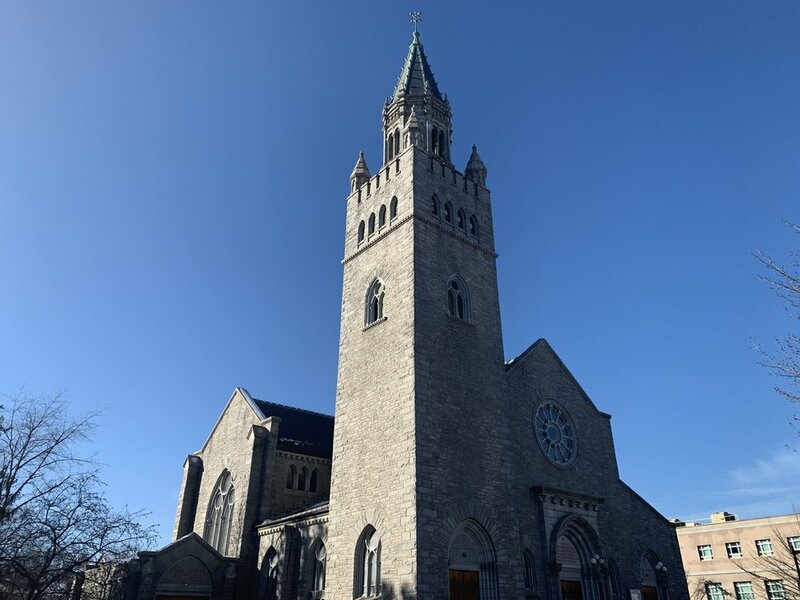 We are mid way through another large project — the complete restoration of 32 leaded and stained glass panels from The First Church of Concord, NH. 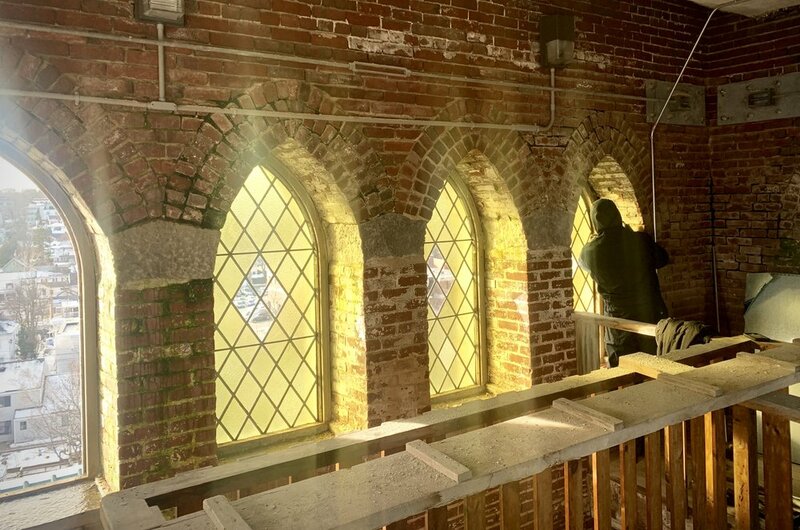 More specifically, they come from the top of the bell tower, a tall and majestic element in the Concord downtown area. 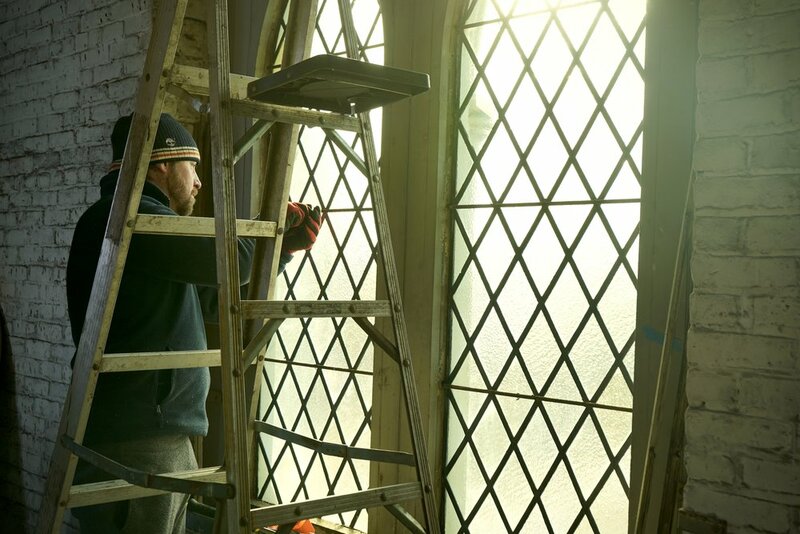 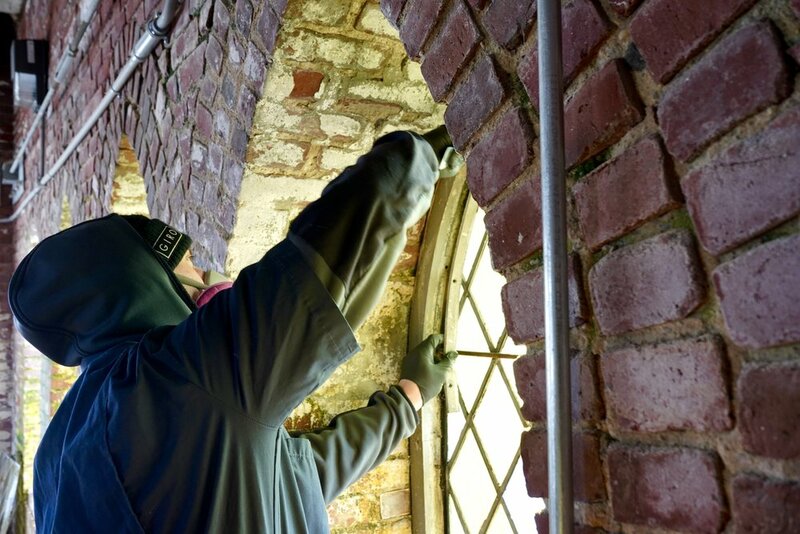 This restoration requires complete disassembly, reglazing, and weatherizing of all panels.